Store BLOG of Shadows: Almanacs and Calendars for 2012-13 year! For those of you wanting to get a head start on planning your 2012-2013 year you might be interested in this one..
We just got in a small selection of almanacs and calendars! With a range from Buddhism to Faeries to ECOlogical themes, we have a beautiful variety of 2012 calendars. Also, our beautiful wonderful almanacs that I'm sure I'm not the only one excited about. 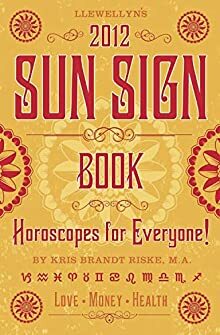 Along with our Herbal Almanac and our Magical Almanac we also have..
Llewellyn's 2012 Sun Sign Book by Kris Brandt Riske, M.A. Yay! Horoscopes for everyone! Use this book in the coming year of 2012 for insight, guidance, tips, and even a chapter on what the oh-so-famous Mayan calendar reveals about the planetary shifts in 2012. To aid with conscious living by the cycles of the moon. Includes a monthly lunar table, weather predictions, guidance, tips, and even a guide for gardening. And - la piece de resistance! A great way to keep track of your personal events as well as moon phases, esbats, sabbats, planetary alignments. Even an at-a-glance guide to the best days to plant and harvest. Not to mention a whole lot more! They'll go fast so make sure you get your copy!